Essays on the Political Philosophy of Martin Luther King, Jr. 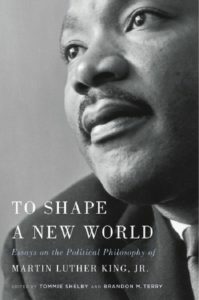 Published to coincide with the fiftieth anniversary of Martin Luther King, Jr.’s assassination, this new collection offers a reappraisal of King’s political thought and legacy. 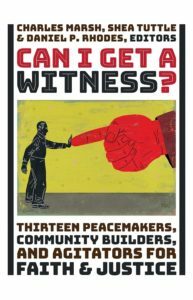 Of particular contemporary relevance is the consideration of King’s views on nonviolence and the strategies that made it an effective force for social change. With contributions from a number of distinguished scholars including Cornell West, Martha Nussbaum, Danielle Allen, Laurie Balfour, and many others, the book makes a strong argument for the originality of King’s political vision. For more information on the publication, click here. For more of “On the Lived Theology Reading List,” click here. To engage in the conversation on Facebook and Twitter, @LivedTheology, please use #LivedTheologyReads. For more recommended resources from our fellow travelers, click here, #PLTfellowtravelers. To sign up for the Lived Theology monthly newsletter, click here. This entry was posted in Lived Theology Reading List, News by PLT Staff. Bookmark the permalink.